The period covered by Arts:Search is 1890. Available now. Monthly. Short-lived art journal - only seven issues were published (January-July 1890). 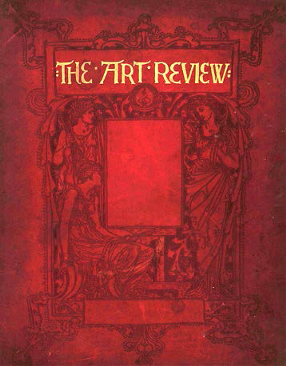 It was the successor of The Scottish Art Review (1888-1890). Like it’s predecessor it contained a wide-ranging mix of articles including a report on the Rembrandt exhibition at Burlington House, London in 1890; and articles on the London Impressionists; The Teaching of Drawing in Parisian Municipal Schools; Thoreau’s Poetry; Heine on Music; Auguste Rodin; Marie Bashkirtseff; Alfred East; Alfred Roll; and G.F. Watts. Also contains art news, and book and exhibition reviews. Contributors included Walter Savage Landor, Lawrence Housman, Arthur Symons, Edward Carpenter, and Gleeson White.